The High Flange Front is a front hub with large diameter flanges that perfectly matches our High Flange Rear track hub. 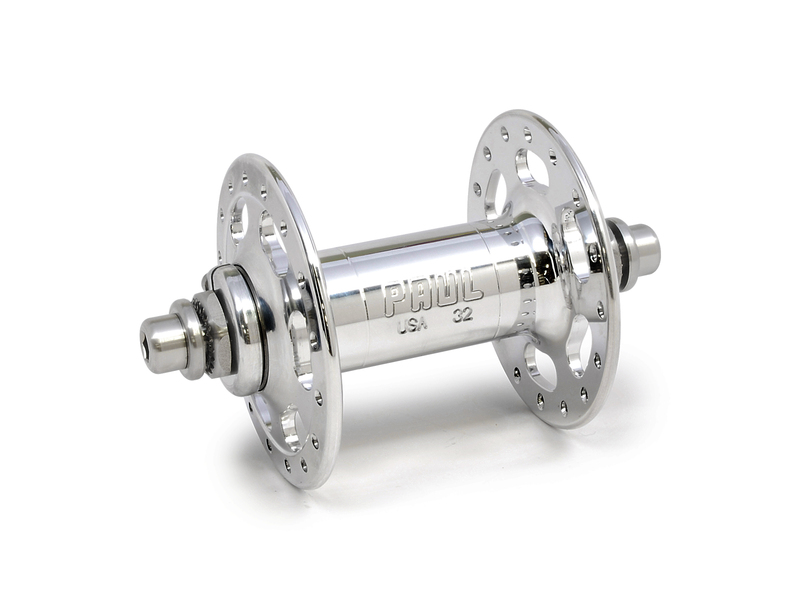 We machine these hubs from three inch round bars of 6061 aluminum. 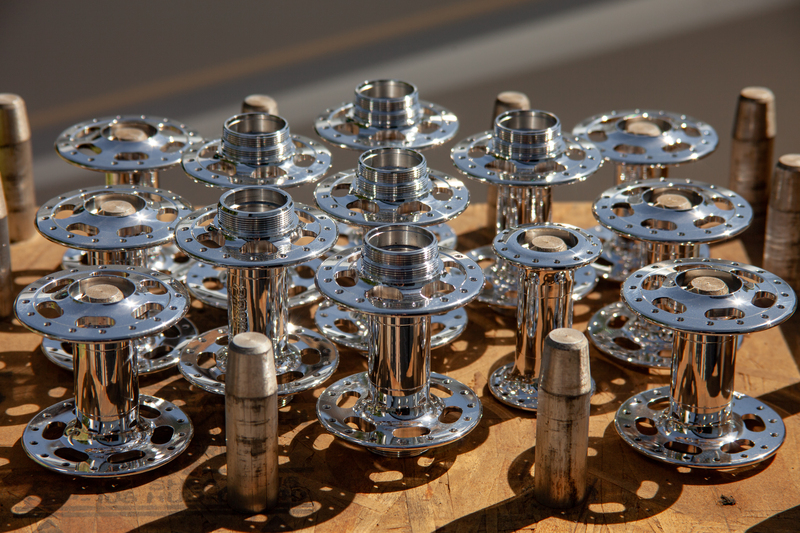 The hub shells are put through four different machining processes before they go to finishing. The end result is something we’re very proud of. The wide flanges have six window cutouts in them to save weight and draw on the influence of classic track hubs. 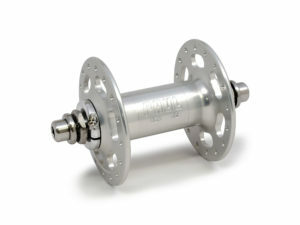 The axle is ground from 7075 aluminum, which has a great strength to weight ratio. 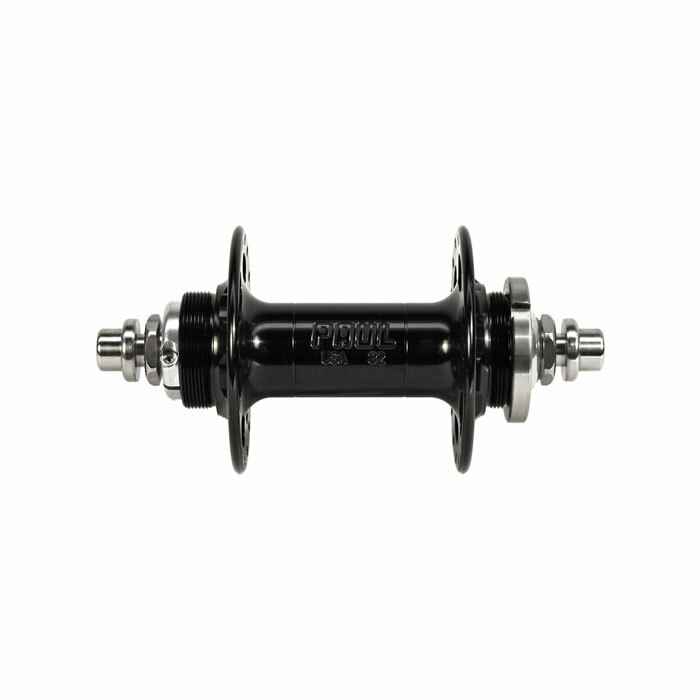 The outer lock nut faces are made of knurled steel for a solid grip against dropouts. 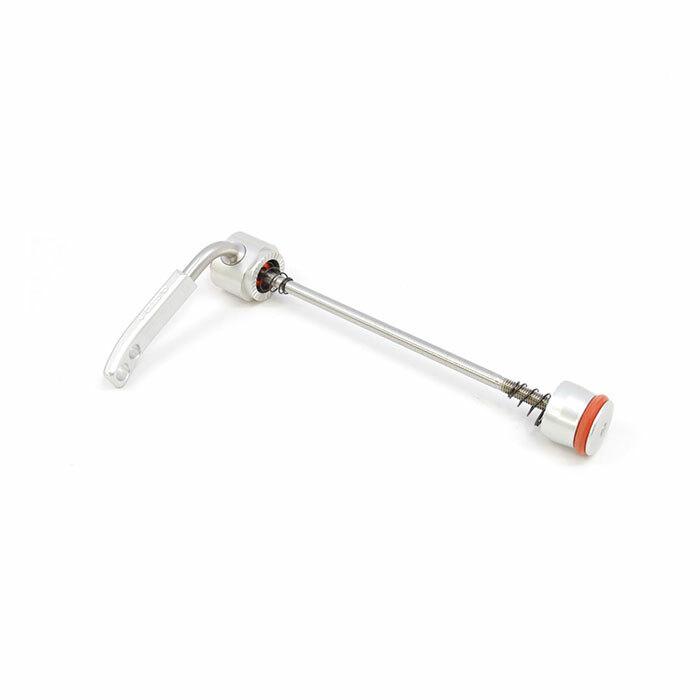 Two different axles are available, for a bolt-on or quick-release attachment. 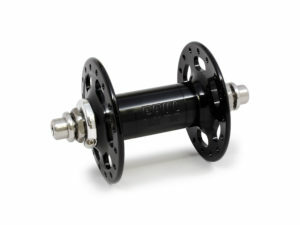 Service Parts are available to convert between axle types. 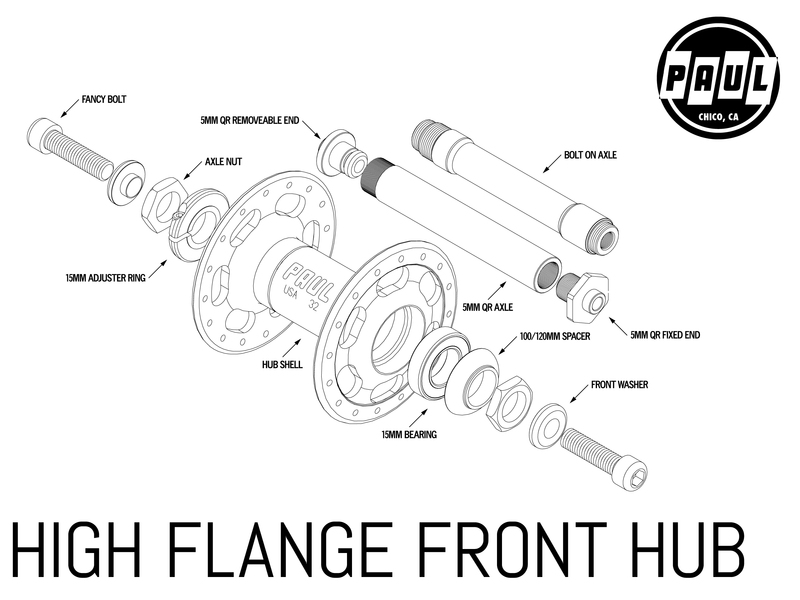 High Flange Front comes with Enduro sealed bearings, and they can be adjusted with our simple adjuster ring. 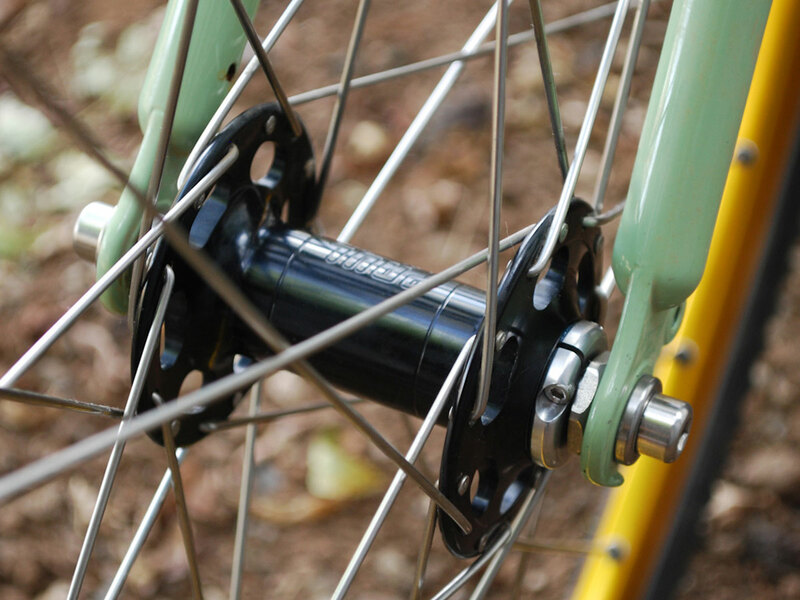 Spoke hole counts are available in 20, 24, 28, 32, and 36, and the spoke holes are chamfered to reduce stress on the head and elbow of the spoke.